My Youtube channel is working again! 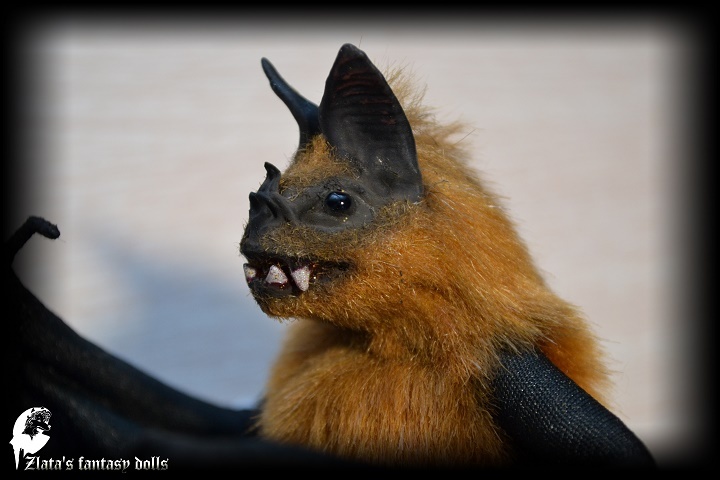 Watch a new video about my bats! 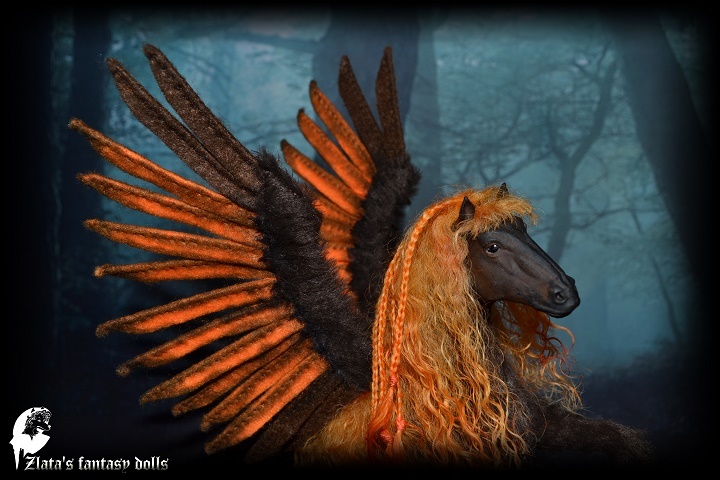 Lady centaur, is a one of a kind original piece of artwork, 100% handmade. 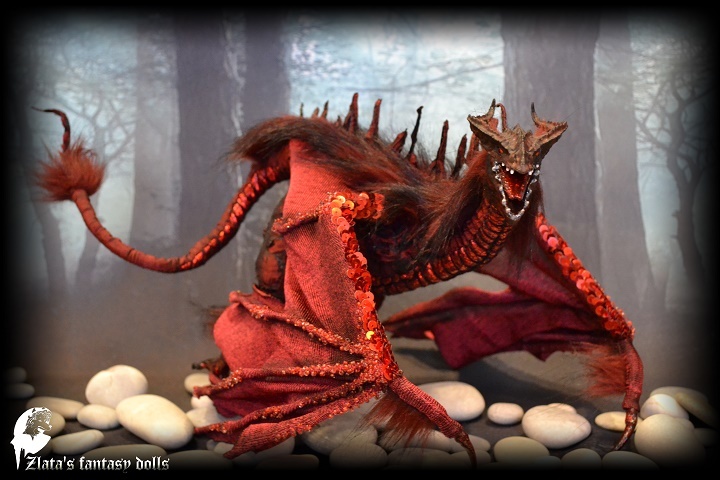 She is in length 18 cm (7,08 inch) with a tail, height 27 cm (10,6 inch), width 6 cm (2,36 inch). 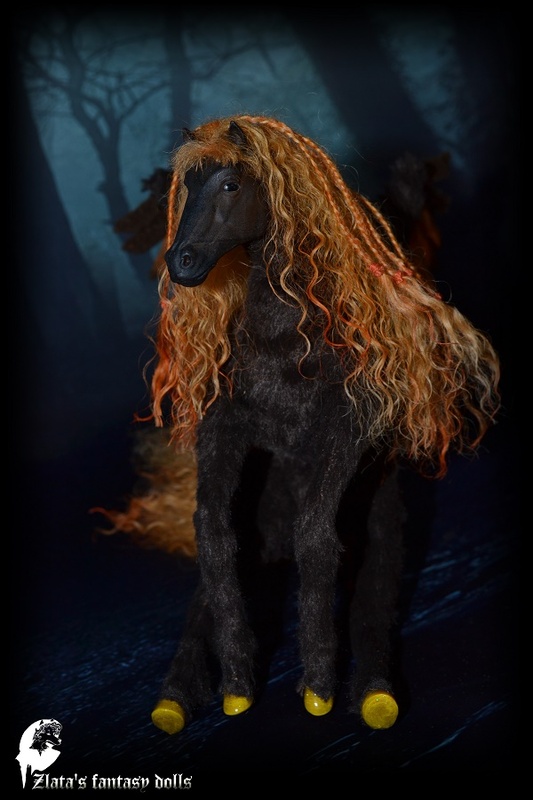 Horse Pegasus soft sculpture, poseable art doll. Horse Pegasus is 100% hand made! 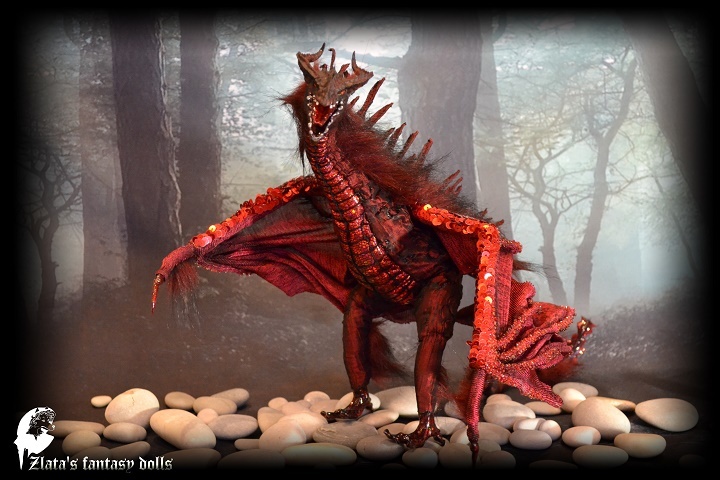 Forest Dragon soft sculpture, poseable art doll. 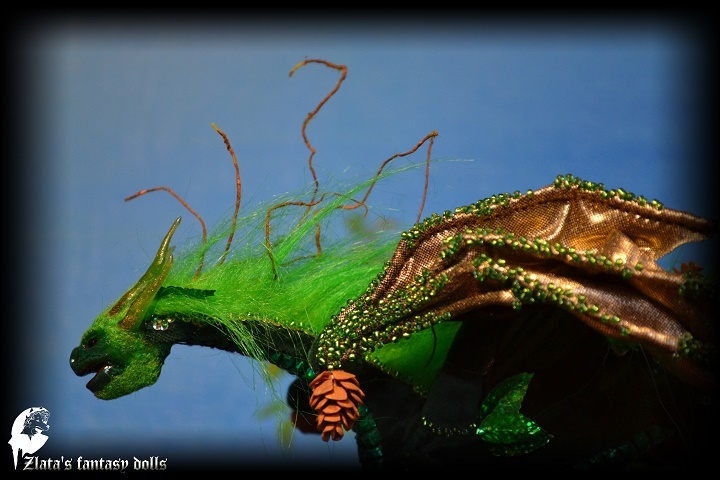 Forest Dragon is 100% hand made! 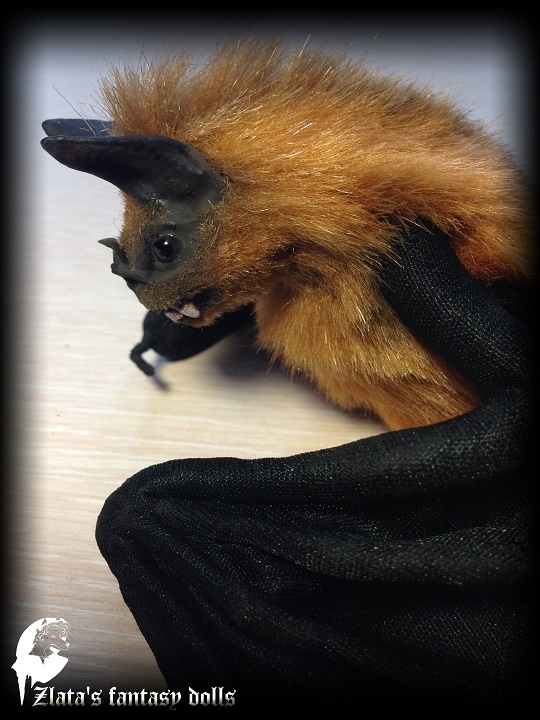 I then applied the faux fur and natural velvet, in tiny clumps onto the sculpted face! The muzzle of a dragon is made like a wet frog, with transparent skin. 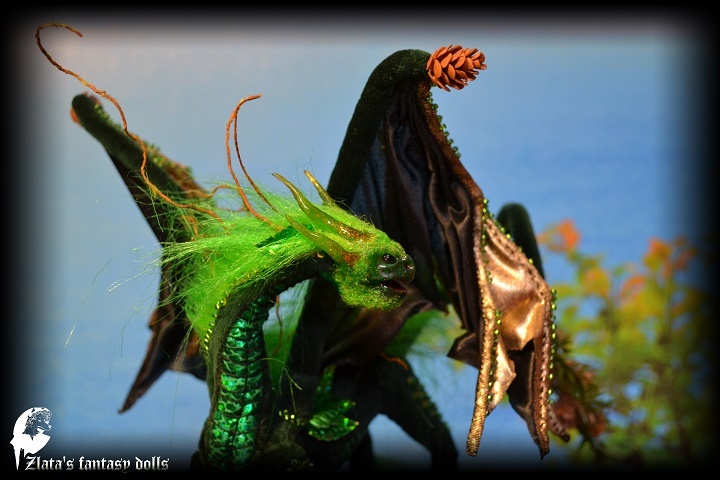 The body of the dragon is made of faux fur and natural velvet, wings are made of gold fabrik. 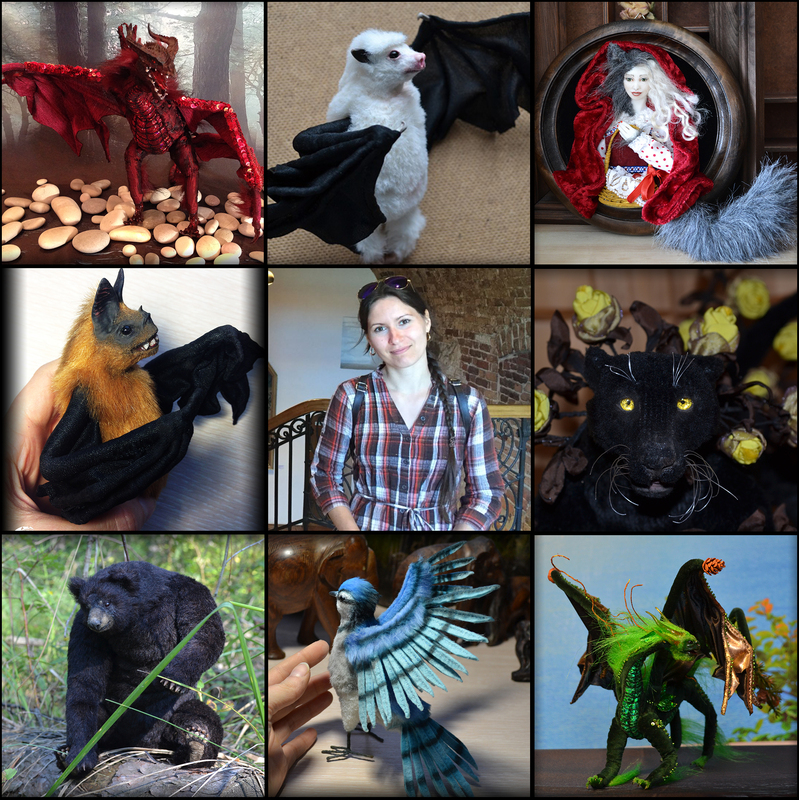 A very BIG THANK YOU all who have purchased from my shop, all who included my work in Pinterest, Facebook, Blogger..., all who to Etsy for featuring my shop on their blog! Merry Christmas and Happy New Year to You! My best wishes! 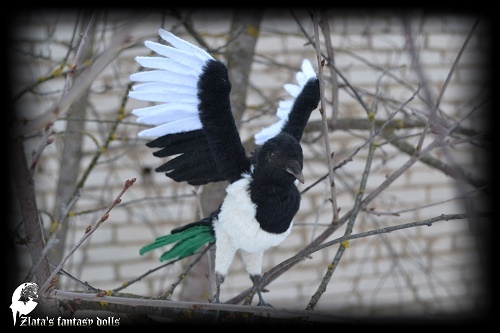 Magpie Bird is a one of a kind original piece of artwork, 100% handmade.